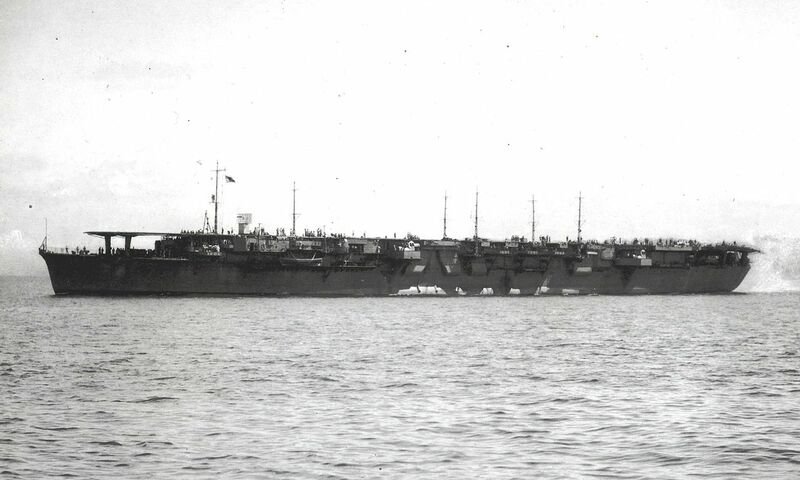 Aircraft carrier Chitose in 1944. Chitose-class vessels of the Imperial Japanese Navy had an unusual history because of the Washington Naval Treaty. Under strict tonnage restrictions and to maximize performance and flexibility, the Imperial Japanese Navy designed two seaplane tenders called Chitose-class, which could eventually be converted to aircraft carrier without much technical and engineering difficulties. The resulting vessels, the Chitose light aircraft carrier and Chiyoda light aircraft carrier were operated by the Imperial Japanese Navy after the Battle of Midway and both participated in major naval battles in late pacific war such as Battle of Philippine Sea and Battle of Leyte Gult, in which they were used to decoy the main body of the American fleet away from the landing beaches in the Philippines during the operation Sho-ichi. 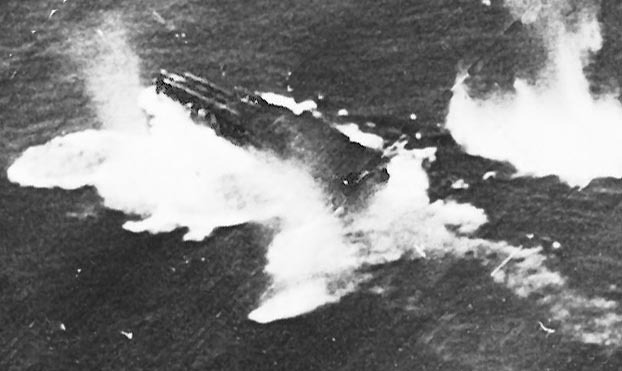 In the same battle, they suffered massive aerial attacks and were sunk by american carrier based aircrafts. Chitose light carrier being bombed in Leyte Gulf battle in 1944. Chitose light aircraft carrier was first laid down as a seaplane tender in 1934 at Kure Navy yard. In the original design, several floatplanes were assigned to her such as: Kawanishi E7K Type 94 “Alf” and Nakajima E8N Type 95 “Dave” . The midget submarine deployment capability was also owned by her twin Chiyoda. As manjor operations as seaplane tender, the Chitose was covering the Japanese landings in the East Indies and New Guinea from January–April 1942, and suffered damage in the Eastern Solomons in August 1942. Seaplane Tender Cruiser Chitose before conversion in 1938. Chitose light aircraft carrier conversion. After the defeat of the Imperial Japanese Navy in the Battle of Miday, conversion works to aircraft carrier quickly started. She was recommissioned on 1 November 1943 as light carrier and completed as a carrier on 1 January 1944. It is unclear whether she could really performe tasks as carrier rather than light carrier. Possibly, she only was able to operate as light carrier support operations. She was assigned to the 3rd Carrier Division as part of the Japanese Third Fleet. Fate: Sunk in the Battle of Leyte Gulf, 25 October 1944.